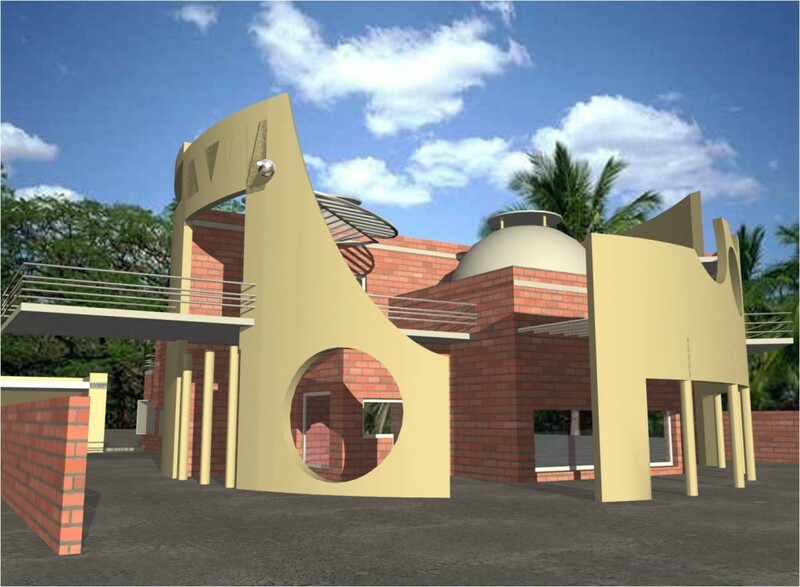 Like many architects, we also have a large number of designs which were never built. Some were built half and abandoned for various reasons beyond our reach; legal, financial, economic or personal. We are adding a few which we could lay lands on. Composite housing: Mysore.HEBBAL HOUSING LAYOUT, MYSORE. 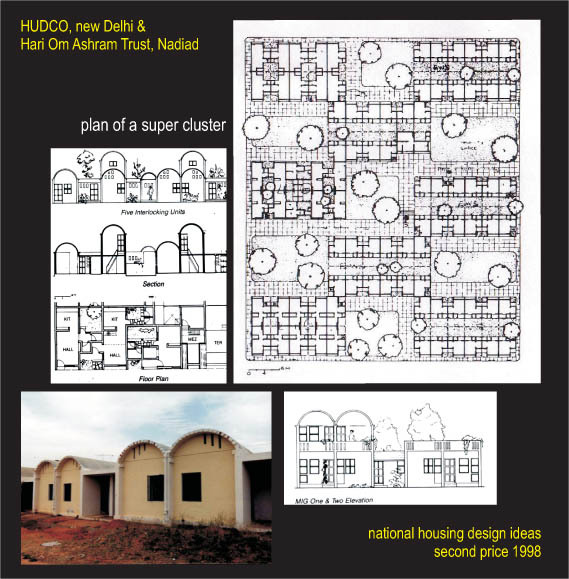 The idea was taken from the traditional typology called AGRAHARA where people lived as a community around a common space and facilitities. 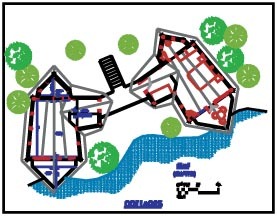 The spatial resources were shared, so were common walls between dwellings. There was a privacy gradient in work and no body usurped the semi social space s like Juglis or the space in front of the house. There was no compound wall for individual houses. The motor car or public transport hardly entered the clusters. However, what got built was a watered down and insensitive space as understood by the implementing agencies and as demanded by political exigencies, bureacratic delays, and an impoverished project management system. Whatever little could be built in 1988-91 soon lost its meaning as the individual allotees started building compound walls, and no one cared of public spaces. The idea of a community space or social space seems to be impossible in the present situation of living spaces being seen as properties, commodities and real estates. This combined with the present paranoia and fobias which determine social living styles dictates the urban spatial scene. 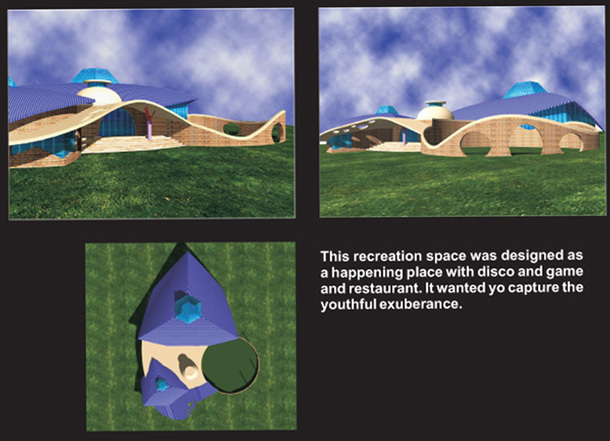 A commercial building in a small plot, with a restaurent and an entertainment space and a party space on top. 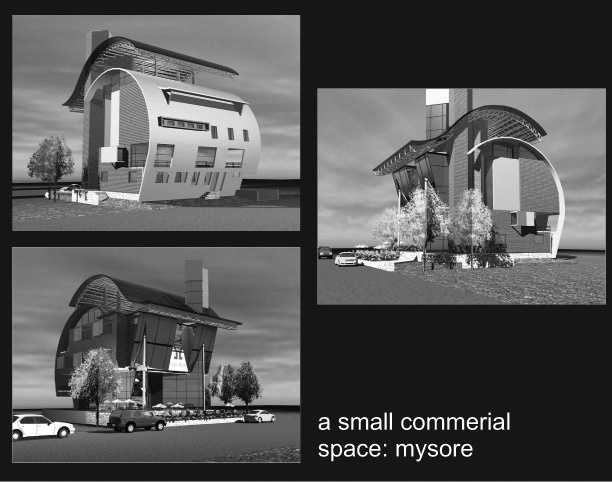 The place was designed with the new found commercial bloom in Mysore like in other secondary cities around 2004-6. The promised boom did not really, fortunately in some way, materialise. The project got shelved. It gave an opportunity to think of small scale semi public spaces, where the street- the foot path- and buliding could merge to create inside out spaces. The project was shelved after construction started as the promoter could not follow the logic of design and was (mis)guided by uninformed fabricators and conned by the ill-informed project proposal. Some thing else is in its place. This is a real problem where clients change ideas at the drop of a hat. In reality they did not understand the design and perhaps some thing else in mind or nothing at all. Uninformed and having limited interest in buildings and architecture, such clients can be manipulated by any. They come to an architect with the aim to manipulate. It is a pain for any architect to get such clients. Owner of a coffee estate near Sakleshpur in Karnataka wanted to build a small resort with in the estate. Ten twin cottages were planned around a small lake (reservoir) in the estate with common facilities. The cottages were designed on concrete stiltswith precast concrete elements units to be assembled on site so that least underegrowth will be disturbed. Cottages were to be made as log cabins with hay thatched roofs. The all will be overlooking the pond. Common facilities were to be tent structures with no cutting of any trees. The project was abandoned for some legal reasons. Resorts design often use both authentic and manufactured versions of ‘heritage’, for mass consumption. However, in the battle between the need for novelty and the inherent capacity of traditional images and motifs to meet it, the traditional sources are getting depleted with over use of repetitive images and facade treatments. 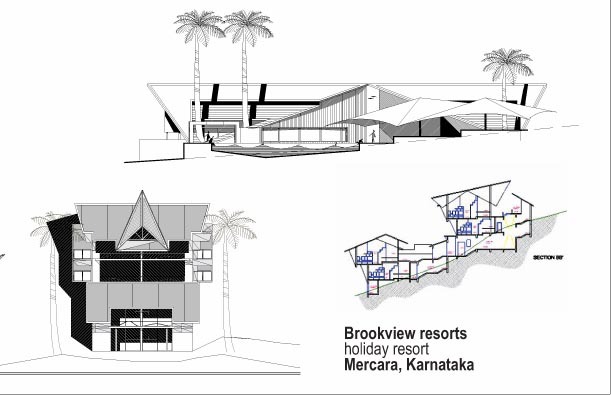 The proposed design of resort in a 400 acre coffee estate in a hilly terrain, aims to deliberately refrain from resorting to direct reference to any traditional kind of architecture, its imagery or motifs. 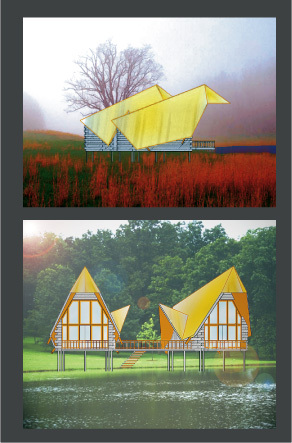 However, the attempt will be to create a regionally relevant architecture, one that is characterized by a definite sense of place as against a feeling of a theme set. on a plot of 80 x 120 ft.